Up here in New England, the snowy arrival of winter marks an end to the fun-car season. And while there may be many other reasons you have to store your car for a long period of time. (i.e. long-term travel, military deployment, just to name a few.) Regardless of the reason, we’ll focus for the most part on us New Englanders who store our cars for the winter. Storing our vehicles the right way will ensure that they wake up in the spring no worse for wear. Here are some steps for an effective automotive hibernation. It may seem counterintuitive to get the car washed when you’re putting it away for months, but it is an easy step and one that should never be overlooked. Water stains and/or bird droppings left on the car can damage the paint. Make sure to clean the wheels and undersides of the fenders to get rid of mud, grease or tar. If there are exposed metal places under your car that are prone to rust, buy a can of rubberized undercoating and spray on a protective coat, keeping in mind that it needs to be reapplied yearly. Be careful not to spray this coating near any exhaust components that can get hot because products like this can be very flammable. 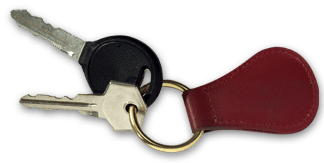 For collectors, if you’re worried about keeping your car in original condition, a coat of WD-40 will also work..
Clean out your interior too, be sure throw out food wrappers, soda cans and any other trash that may have accumulated in your interior. If you plan on steam-cleaning the carpet, do that far enough in advance of (or after) storing the car to avoid moisture buildup and mold. For added interior protection, you can buy a set of seat covers or use simple sheets. To soak up cabin moisture, purchase a few packs of desiccant from your local dollar store or convenience store to place on the floor. 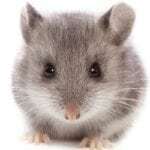 Mice and other small animals can create trouble if they get inside your car. Even though there isn’t a surefire way to protect your car from mice, there are steps you can take to make your car less appealing to them. I go to the dollar store and buy the cheapest drier sheets I can find, and put those inside my vehicle, and scatter them around it on the floor underneath the car. You can also place mothballs in socks and set them both inside and around the car, but you’ll probably need to air out the cabin to get rid of that distinctive smell if you do put them in the interior. 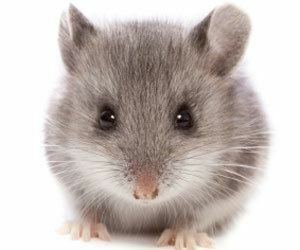 I’m hesitant to use mouse-traps because the bait could attract the mice as well, but if you must remember: Mouse-traps work well outside the car, but NEVER put them in your car. The last thing you want to find is a dead mouse on your passenger seat, especially months later. If you are storing your car in your own garage at home, remember that pest poison traps can be hazardous to your pets. 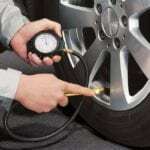 It’s worthwhile to inflate your tires to a higher air pressure before storing your car because tires can slowly lose pressure over time and with temperature changes. However, don’t exceed the tire’s maximum air pressure, which is listed on the side of the tire. Be sure to fill all four tires to the correct air pressure when you take your car out of storage. If you already know one of your tires has a leak, replace it because it will deflate completely over time, and your car could end up kneeling on its rim. 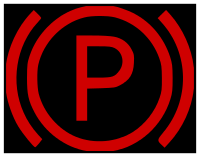 Don’t engage the parking brake for storage because if the brake pads make contact with the rotors for too long, they can become “frozen” and difficult to disengage. 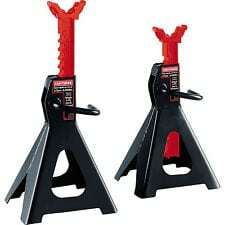 If you’re worried about your car rolling, get some wheel chocks or blocks of wood to wedge against the tires. I’m of the opinion that this is optional and depends on how long you are storing the car, but for the more mechanically inclined, and for owners of collectible cars, you can put your car on jack stands to take the weight off the tires and suspension. (Leaky tires?) By doing this, you can avoid getting flat areas on your older tires and wheels. 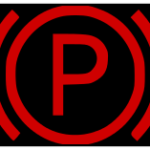 Procedures for doing this vary greatly from car to car, so if you’re unfamiliar with the proper and safe way to raise your car, consult with someone who knows. In all instances, be sure the floor of your storage site is completely flat and made of concrete before undertaking this. It’s a good idea to use fuel stabilizer. Why? Well, most ethanol-blended fuels have a shelf life of only about three months. If you’re storing a car for six months, fuel stabilizer should help prevent corrosion in the fuel lines and engine. Add fuel stabilizer to a nearly full gas tank. It’s also a good idea to change your car’s oil and oil filter as well as check and top up all other fluid levels before storing your car. Us New Englanders live in a colder climate, so make sure your car has enough antifreeze. Once you’ve topped off the fluids and added fuel stabilizer, take your car out for one last ride to circulate the new fluids. 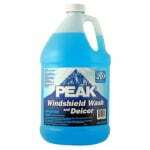 Make sure the windshield wiper fluid is a low temp variety that has antifreeze additive. 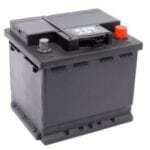 Use a battery tender if you can to keep your battery charged. If you want to, and or need to, remove the battery but still have it on a battery tender. Set it on a piece of wood in your garage or shed, and attach it to the tender. Make sure not to lose track of the two battery bolts. 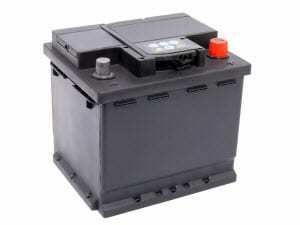 Keeping your car’s battery charged prolongs the life of the battery. This way you don’t have to wonder whether your car will start in the spring. Invest in a quality car cover. If you store your car outside, make sure that cover is waterproof and securely attached to your car so high winds don’t blow it off. 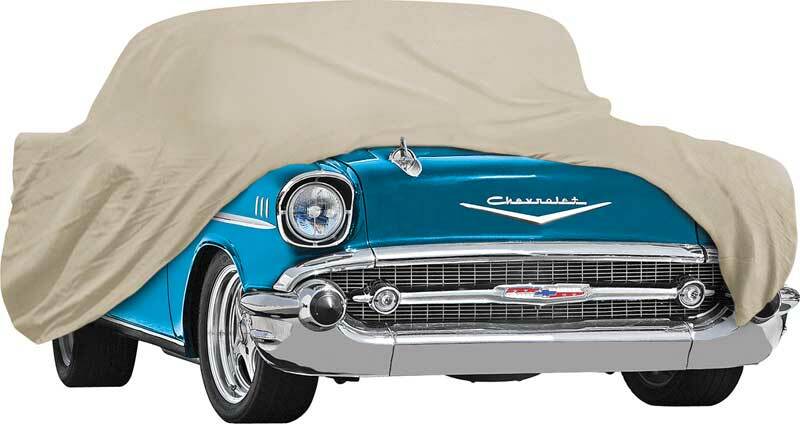 Universal and custom-fit car covers are available at online retailers and at auto parts stores. 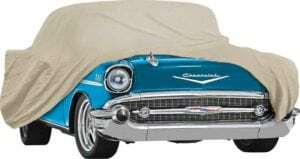 There is a big difference between a $25 universal-fit car cover and a $300 high-quality model-specific cover; your best bet is to get one that’s breathable and keeps out moisture. NEVER cover your car with a plastic tarp as it will severely scratch the paint. A basic car cover is definitely worthwhile. Especially if you store your car inside because it can protect your car’s freshly waxed exterior from accumulating dust and dirt. Consider a thicker car cover that provides a layer of protective padding for your car’s exterior. You know, in case you bump it while you move items around in your garage or storage area. It’s easier to have another set of hands available when putting a cover on your car; it also eliminates the risk of having the cover touch the ground and picking up grit. Before you put the cover on, make sure all the windows and doors are fully closed. Insure that valuables and necessities are out of the passenger compartment. You don’t want to open a covered, storage-ready car just to get your cell phone’s car charger. If you have a fixed antenna, you’ll also want to remove it before covering up. You can put the antenna in your trunk or on the floor by the passenger seat so it’s readily available for reinstallation. Instead of a car cover, consider a car jacket. Just drive your car onto the jacket, put a soft car cover on it (this is a must), and zip up the outer plastic jacket. This solution provides protection from moisture, rust, rodents and dust. A common discussion among people who store cars is whether or not to start it every so often. I would argue that if you do a proper job storing a car, you don’t need to start it. But if you want to start it up, just remember what you have to remove and put back on.” In other words, don’t start your car with those socks still stuffed in the exhaust or the battery tender’s cables in the engine bay. Completely remove the car cover, too; don’t just peel it back enough to get in the driver’s door. Never let a car run with its car cover on — or with the garage door closed. Once your car is started, let it warm up to its operating temperature. You do this to remove any condensation and cycle the fresh oil through the engine to lubricate the parts a bit. Then, don’t forget to redo the steps needed to return your car to its storage state. 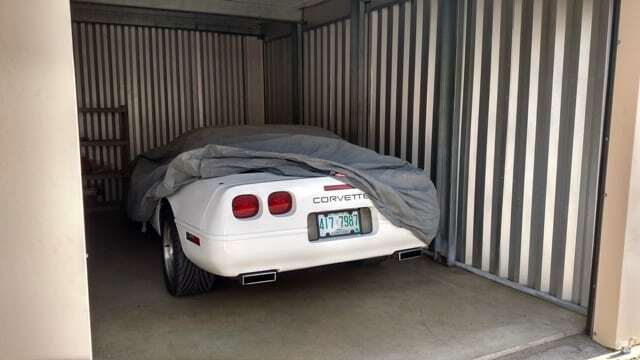 You might be tempted to cancel your auto insurance when your vehicle is in storage. Although that might initially save money, there is a chance that the insurance company will raise your rates due to the gap in coverage. Thus, this could cost you more in the long run. This can vary based on where you live and who your provider is. 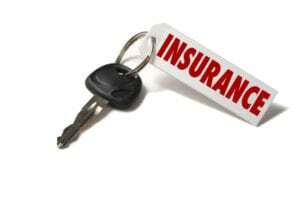 So – contact your insurance company to see what options are available to you. If you are using a storage company, make sure you know what you are covered for. More often than not they will not insure your car in case of fire in their facility. The fine print will usually say that it is up to you to provide insurance for whatever your store within a storage company’s facility. Check under the hood for evidence of rodents. Look for chewed belts, hoses, wires or nests. If you covered the muffler or air intake, remove that material before you start the car. 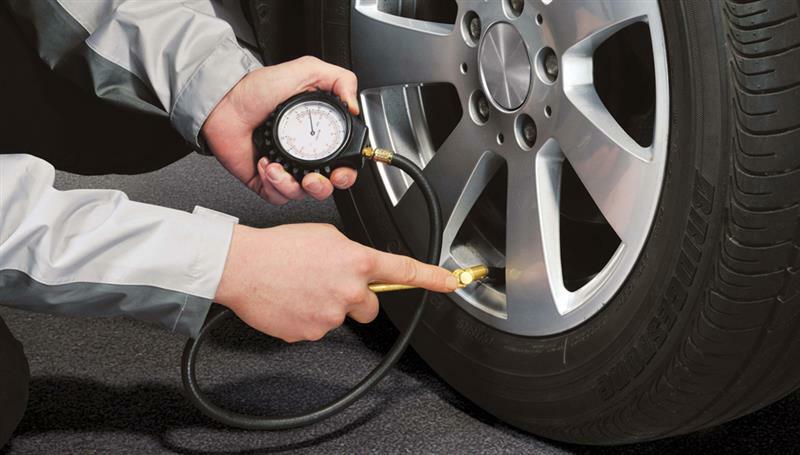 Verify tire pressure and inflate the tires to the recommended specs. You may want to inspect the brakes. Rust may have accumulated on the rotors. In most cases, this should go away after you drive the vehicle for a short time. Inspect the fluids to make sure there have been no leaks and that they are at the recommended levels. Wash your vehicle to remove any dirt or dust that may have accumulated. Wipe down your interior for the same. Most of all drive carefully and have fun with your cool ride at the spring car shows and cruise-ins!